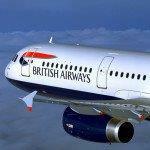 GIGA POST: British Airways greatly discounted non-stop flights London to America £270, Caribbean £387 or Asia £357! Norwegian non-stop flights London – USA (Seattle, Denver, Chicago) or Singapore £261! Cheap flights London to Papua New Guinea (min. one day in Manila) from £509! When MEGA is simply not enough we introduce our “GIGA POST” deals! 🙂 British Airways has just greatly discounted non-stop flights between London and various destinations in North, Central and South America, Caribbean, Middle East, Africa or Asia. Book discounted BA direct tickets to cities such as Boston, Toronto, Vancouver, Calgary, New York, Los Angeles, Mexico City, Lima, Mumbai, New Delhi, Hong Kong, Dubai etc..Sun seekers can also fly in peak season 2018 to various Caribbean isles such as Antigua, Grenada, Providenciales, Tobago or St. Kitts & Nevis. The cheapest British Airways non-stop solution from London is to Abu Dhabi already for £225. In most of the cases you will find the cheapest solution with British Airways when departing from Europe to chosen destination between January and March or October and November 2018. You will however find few exceptions so simply follow below link to complete list of British Airways discounted deals during latest promo sale. Check our our selected non-stop options from the UK to various worldwide destinations if interested in this British Airways special sale..
Booking sample of British Airways greatly discounted non-stop flights London to America £270, Caribbean £387 or Asia £357! Your non-stop flight from London Heathrow to Abu Dhabi, UAE would be on 26th of March. You would return from Middle East back to the UK week after, on 2nd of April 2018. Considering this is non-stop service based on British national carrier from London this is excellent opportunity also at this moment the cheapest option on this route. Do not miss this latest British Airways promotional sale if you are planning to use service of this airline..You can find our updated post with currently discounted British Airways promo flights here.